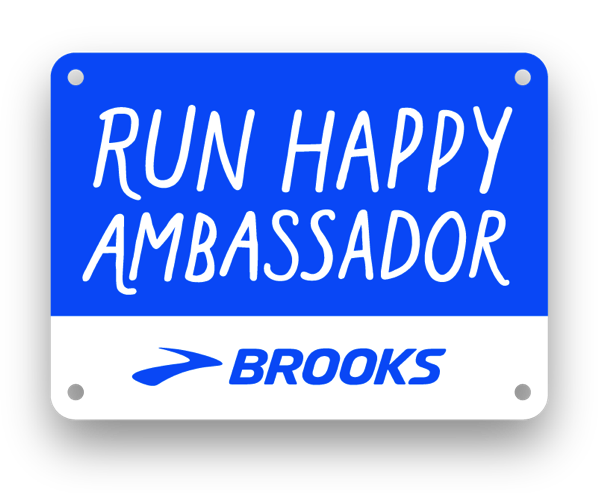 Two Things That WILL Help Your Running, the WHY and Help My Creativity Please.. This documentary. It was AWESOME. Watching other people run while on the treadmill is my favorite… I figure if this guy can go out and run 100 miles and overcome crazy obstacles then I better stop complaining about feeling a little bored on the treadmill ha. Over the next few weeks I think I am going to be watching as many documentaries like this as possible along with read a bunch of articles/stories about other people’s experiences doing ultras. Brooke joined me for the last little while because she woke up earlier than normal. PS My aunt gave us that huge tub of Legos because her boys grew up so we are set with Legos for the rest of our life. We got ready for the school day. Random—>. I would love to hear what lunches any of you parents make for your kid’s school lunches because I need to branch out from sandwiches. We went in to see Dr Bennett (801-513-1078) to get things looked at as we get closer to this race. My left ankle just started feeling a little stuck (does that make sense?) and as I’ve learned with running—> Don’t wait to fix the problem. He unjammed it and it is good to go again! 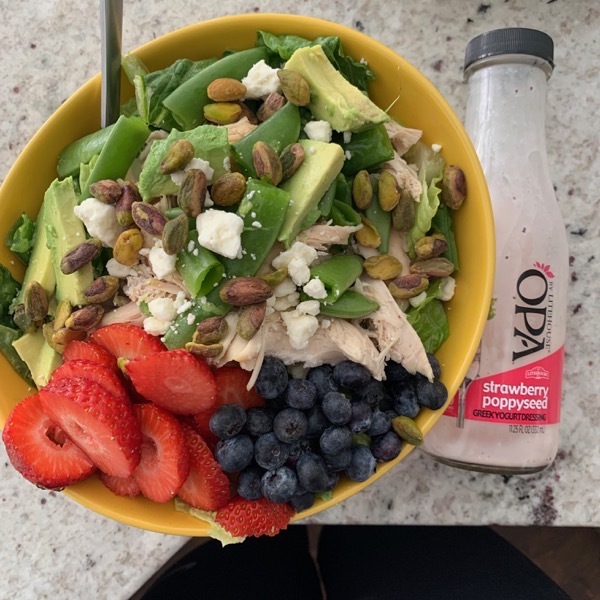 Salads have been my goto lately… lettuce, strawberries, blueberries, feta cheese, snap peas, half an avocado, chicken and this dressing followed by some toast. Brooke got home from school. We never got around to making our beds. 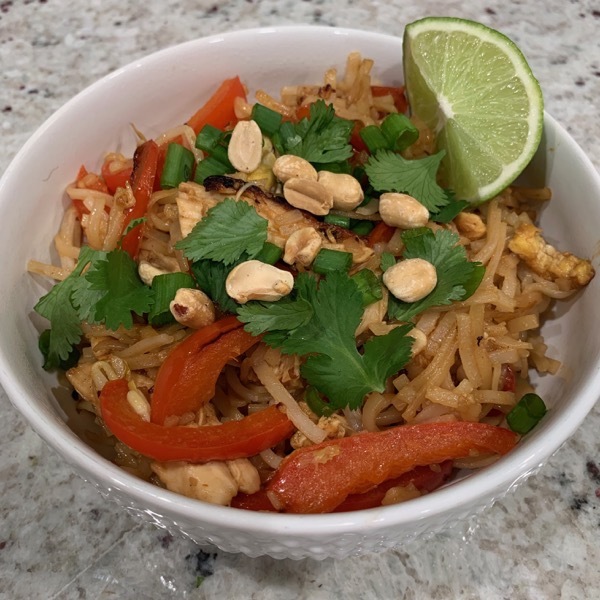 Liza shared this recipe of Pad Thai with me and I made it last night for dinner. Andrew and I loved it (it will be a repeat meal). I love it when you guys share awesome recipes with me. + Cookies for dessert. 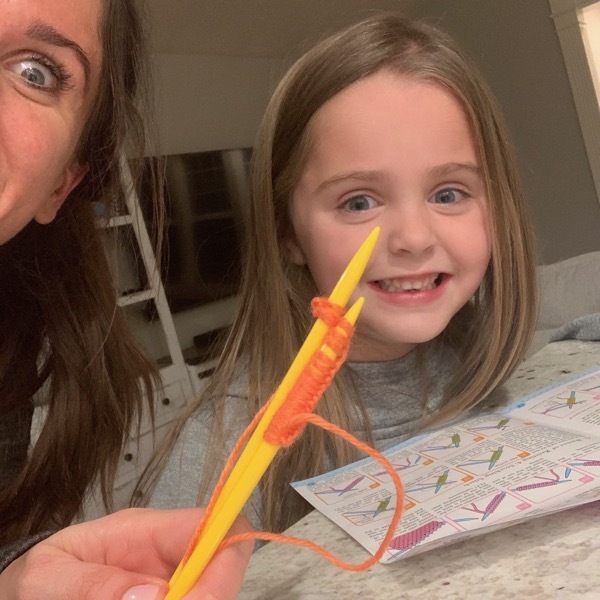 Brooke got a knitting kit so we are starting that together! Brown the meat and put into crock pot. Peel the potatoes and cut into pieces, add to the crock pot. Add carrots and cut up onion to the crock pot. Stir the meat and vegetables. Add the tomato soup and wash out the soup can by filling it up with water and adding to crockpot. Add the tomato sauce and the catsup. Stir well. If the sauce seems too thick add a little more water. If it is too thin add some more catsup so it pretty much covers all of the vegetables and meat. I usually cook it on high for 6 or 7 hours or low for 9 or 10. I have an old crock pot so it is not as hot as the new ones. Enjoy! I have absolutely loved reading ROAR. I have learned so much about our bodies/minds/hormones/nutrition for women athletes and so much more. I highlighted so many sections and had a lot of aha moments (thank you to those that recommended this book for me). My current script in my head on repeat: This 50 miler is mine, I’ve got this… It’s almost time to eat those hills for breakfast (and lunch.. and maybe an early dinner;). I’m also visualizing myself conquering the elevation and crossing the finish line strong. Readers that pack their kid’s lunches… what are some things you put in there. I need some help in the creativity department! What was the last sports/running/health related book that you read? Who has a treadmill at home? How often do you use it? 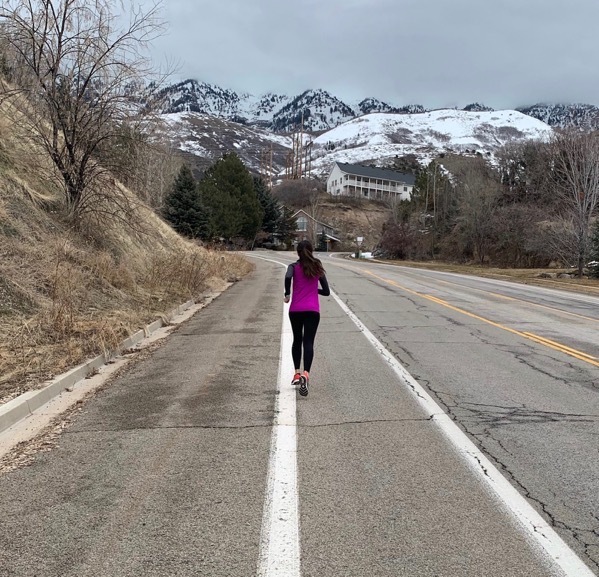 Monday Matters & something I do before running in the COLD. My ankle sometimes feel stiff or just not as mobile/flexible as it should be. Typically, I need to get ART on it once or twice and it’s fine. I use my treadmill when it’s super cold or bad weather. I have no shame about watching TV and Netflix instead of being miserable. I wonder why our ankles do that sometimes! Congrats on your wins lately.. you are coming back strong!! We eat dinner at 5:30pm. I saw one of the kids in my two year old class brought a quesadilla and he ate every bite. I’m going to send that for my kids! I have a treadmill in my bedroom that gets lots of use! So glad you have a treadmill you get to use! Mine is saving my training these days. Quesadilla… totally going to do that. Have a great day Erin! We eat dinner at 6, but Hope and I are hungry at 4:45. Longest 1.:15 minutes of our day waiting for Chris to get home. Lunch, I feel like it is same old same old too, but when she wants it to feel different than a sandwich it become cheese and lunch meat and crackers. (still sandwich to me, but not her) . Cannot wait to cheer on your 50 mile SUCCESS! Bahahaha waiting for dinner makes time go in slow motion! Homemade lunchable.. that sounds perfect. Thanks Erica, I am getting ready excited! I don’t have kids, but sometimes I’ll pack myself chicken (or you could use turkey) rollups in either tortillas or the Middle Eastern flatbread from Trader Joe’s. You can add anything in there, like cheese and ketchup and avocado or whatever they prefer. I guess that’s kind of similar to sandwiches, but it could add a little variety? If I don’t eat dinner by 6:30, we’re going to have a hanger problem. That book is so right about us talking to our negatively too often. I got caught in that trap yesterday almost all day long. I had a pretty rough day, and I essentially blamed myself for everything. I had to give myself a pep talk at the end of the day after my sister gave me one because I don’t want to be putting myself down when what we really need is to be encouraged and loved, and that includes self-love. A rollup would absolutely add variety, thank you Natalie! I am so sorry about your day yesterday. You are sooooo good to everyone in your life and so positive and supportive, time to do the same to you! You deserve the best of the best. 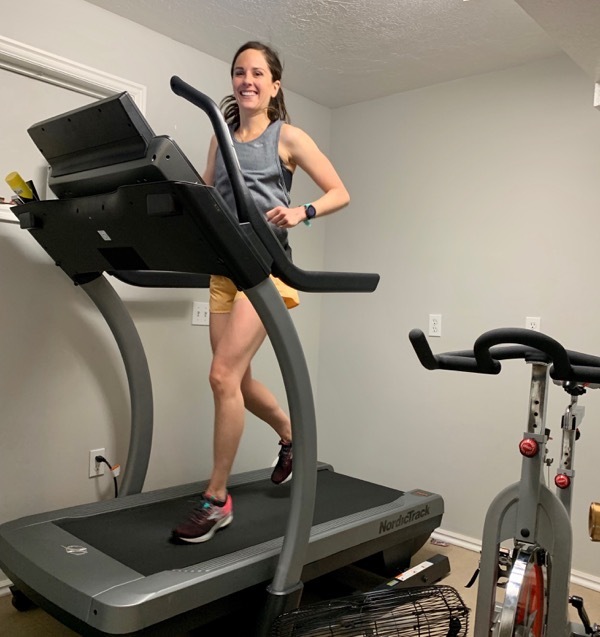 I’ve been on a big home treadmill strike since burning out on treadmill running last winter. It’s funny though, because I just joined a gym with a daycare so when my husband is working weekends I can get my workouts in and I can run on their treadmills just fine. haha. 18 days!! I’m SO excited for you!! I totally get that! The treadmill gym feels so much easier for me than doing it at home.. probably because everyone is working hard there and the couch isn’t 3 steps away. You are rocking it with the lunches and I will totally get a list together! Thanks so much Mollie, have a great day! It’s so nice to know you eat an early dinner too! We eat at about 5:15 and I thought we were the only ones in the world who ate dinner that early :) I have a treadmill at home and use it throughout the winter, mostly when it is too cold or there is snow/ice – usually 2x/week. My husband also uses it for his recovery runs – usually 2-3x/week. We have to make sure we don’t want it on the same day! Latest running book = Inside A Marathon by Scott Fauble and Ben Rosario (this book is THE BEST!!). Latest health book = The Headspace Guide to Meditation and Mindfulness by Andy Puddicombe (a great read for slowing down and appreciating the present moment). You are not alone, we love to eat early! Both of those books sound amazing, thank you Jenny! I will be getting the marathon one. Have a fabulous day and so glad you have a treadmill to get in the training for you and your husband when you need it! Thanks for sharing the quotes! My running hasn’t been as great as I would like it to be lately and I needed that. And thanks for the recipes. I usually try them and they’re always yummy!! You are so welcome! I hope your running starts to feel better Holly! You’ve got this. I make lunches daily–have one carb addict and one that won’t eat bread (just a preference). For him I always make sure to have a lot of extra protein cooked from dinners….So he usually gets some cut up chicken or a leftover burger cut up with a little container of ketchup. Chicken salad from the grocery story is also a big hit! I always have fruit (berries/tangerine etc). Something fun–almond butter cups/z bar/etc. Sometimes goldfish or rice crackers too..! I JUST got the Peloton tread–to say I am obsessed is an understatement!!! Use it all the time and the best part is that my kiddos–(almost 13 and 10) ask to do short classes!! Looking forward to hearing how the race goes–your training has been inspiring!! You got the peloton treadmill?!?! I am so jealous! I have been eyeing that sucker for a long while! Sounds like you feel it was worth the investment? Is it soft to run on? We just got a new one and I kind of let my husband choose b/c he’s a big guy so we had to have a super heavy duty one but I don’t love it. It is so hard. Yes. Best purchase ever! Had a perfectly fine working treadmill. But tried this in the showroom a few times. And had to have it. The live classes are great. But on demand amazing too! Ahhhhh you have the Peloton treadmill, that is awesome! I’m so happy for you guys and your kids want to use it too.. awesome! Thank you for the ideas, just what I needed! So I’m not a mom yet, but I try to pack my own lunch everyday for work (and sometimes eat like a kid ha). I would recommend a “YumBox” (or any bento box) for lunches. I saw them a couple years ago on a blog and LOVE it. They have little sections that you can put a bunch of different things in for lunch. Today I packed a cheese tortellini pasta salad (pasta, diced chicken, tomatoes, olives and cucumbers) in my main portion, and then carrots, mini-pickles and a pb cup (#balance) in my other sections. Other common lunches for me are meat roll ups, chicken salad with crackers, and basically any kind of wrap. Then I can add fruit, veggies, string cheese, yogurt, etc in the other sections. I really like these boxes because it makes packing a variety really easy! Like I love olives (I think I remember that you don’t? sorry! ), but I am not going to pack a whole container for 6 olives in my normal lunch, but with this box I can just pop a few in a little section. I’m not sure if you’re familiar with 100daysofrealfood (https://www.100daysofrealfood.com/) but they have random posts where they share a variety of bento box options they make for their kids lunches. I think their kids are older than brooke, but probably still some great ideas there! I will add to this as well. My kids are 10 and 5 and each have a bentgo box (https://www.amazon.com/Bentgo-Kids-Childrens-Lunch-Box/dp/B00PKNO7HO/ref=sr_1_5?keywords=bento+box&qid=1551814401&s=gateway&sr=8-5). Neither of my kids will eat a sandwich making lunches challenging. These are great though. They typically get some sort of sausage/salami/meat, cheese, fruit or veggie and chips or crackers. It’s great to have these boxes with portions. Another option that we do sometimes is sending warm food in a thermos to change things up a bit. Okay that Bentgo box is amazing! Thank you Tamara! Hahahah now I want these lunches for me at home too;) these are awesome and her school morning breakfasts are so cute! Thanks Jen! Blake, come make lunches for me… those sound so good! Thank you so much… finding a yumbox on Amazon now! You can also sneak veggies into many of these things without them knowing, if you want to get tricky! Brooke would love little meatballs and the sushi rolls sandwiches/wraps?!? You have this down! Thanks for the help Jess! With my school and work schedule I have to wake up at 3:45 every day so dinner happens between 4 and 5:30. I will 100% have a hanger induced meltdown if I have to wait until 7! I’m a teenager but my faveourite school lunches are: cold pasta salad (bowties or tortellini + cherry tomatoes + cucumbers + a vinegary dressing and maybe some shredded Parmesan), Greek yogurt parfaits and veggies (even cold leftover roasted sweet potato wedges or roasted parsnips) with hummus. I read Roar too after listening to Dr Sims on a podcast and I loved it. Great information for women, especially those of us that read too much health and diet information… from studies performed on sedentary men. I also enjoyed Beyond Training by Ben Greenfield. However some of his information is a little too out there for me. I have a treadmill at home but it is so incredibly loud that it goes unused. When the air quality is bad, I will drive 45mins to the gym to run on a treadmill there instead of using the one I’ve got! I’m so proud of you for taking on such an exciting goal, I am so excited to hear about how your ultra goes! Skyler! I love your name:) 3:45… ahhhh that is early. I hope you get to bed early. Perfect lunch ideas and I like cold roasted veggie leftovers too! I need to find that podcast! I hope you have a great day and thank you so so much! It is called “Women are Not Small Men with Dr Stacy Sims” episode 077 from Steph Gadreau’s show Harder to Kill Radio. Give it a listen! This sounds weird but add a cup of Peanut Butter to your crock-pot of beef stew about 30 minutes before you’re going to eat. It adds a different flavor and makes it so creamy!! We eat dinner around 5:15. 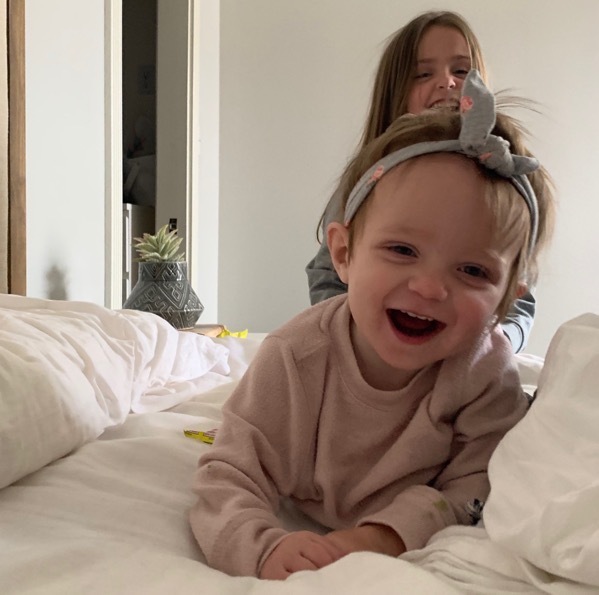 We also have a 1 year old – and she creates our schedule! We will absolutely try that.. Thanks Kristy and I get it, Skye runs the show over here too! We usually eat dinner at around 6 p.m. I try not to send anything packaged, though sometimes a fruit strip or goldfish end up in there. Usually salami sandwiches cut with a biscuit cutter or PB&J, then carrots, cucumber, or orange peppers, and apple, strawberries, or blueberries, and something sweet like a fruit strip or homemade Cookie and something salty like homemade crackers or goldfish :) and a bottle of water! Hmmm..Deena Kastor’s book was the last runningish book Inread I think. I am currently shopping for a treadmill and will probably use it once a week but try to do most runs outside. Homemade crackers.. you are awesome Tonya! Those lunches sound perfect. Good luck on the treadmill shopping and let me know what you get! Dinner times vary a lot around here and usually depend on my running schedule. I’m listening to Into the Furnace by Cory Reese right now. I have a treadmill and I’ve had to put way too many miles on it lately because we’ve been below zero for the better part of the last month. Can we have spring now?? Cory Reese is unreal! I’ve met him one time and he was awesome! Spring needs to show up ASAP! Stay warm Angie! Love all of the positivity here, as always!!! I loved the positive talk tips. I’ll apply them at my RIP class this morning for sure. My kids rarely want sandwiches in their lunch so a lot of times I’ll let them pack a snack lunch as long as it has some healthy things in it. Some things they like are: Costco guacamole or hummus cups with carrots or tortilla chips, pretzels, cheese, grapes, leftover pizza, hard boiled eggs, applesauce, homemade lunchables, tortilla rollups, granola bars, etc. I figure a granola bar, applesauce, and cheese is just as good as a sandwich? Have a great day. I hope your RIP class was fantastic! I didn’t even think about those little cups from Costco, Brooke will love that! Thanks Sarah! I read Peter Sagal’s Incomplete Book of Running this last week. The audio format is awesome. He’s hilarious and I absolutely connected on 80% of his stories. We have a treadmill at home. Summer- I almost never use it. The only purpose is getting a run in during nap time while solo parenting. These past few months we haven’t gotten above 20 in a while and the roads are icy, so I’ve probably ran on it 5 days a week right on average. Bleh. You are getting so close to race day! Woot! Your mileage bank is ready to be cashed in! Our kids’ school is peanut and tree nut free so lunches/snacks can be hard. My son is picky as is and unfortunately loves peanut butter :X Which I can’t send. :) So for him I will make a batch of healthy and filling muffins to send in replacement of a sandwich. I’m still reading it, but loving Strong by Kara Goucher! It’s a journal too, which I like because you can use those ideas toward your own running journey. She talks about using positive self-talk and mantras too, so I try to pick one word for my harder workouts to use when I need motivation. Strong, prepared, calm, energized, etc! My kids were also getting really sick of sandwiches so I printed the list included in the link to my cupboard. It’s easier now my kids have gotten older because they have microwaves at middle school and high school so they can take dinner leftovers. My youngest eats like a bird and wastes food so I don’t put much in her lunch. Some cheese, pepperoni or turkey, crackers, and fruit or yogurt. I love Mel’s website more than any other. She has fantastic recipes. I am going to do the same and print it out for my pantry… her list is perfect! Thank you again for the pad Thai recipe, it was so good! Keep ‘em coming;) Have a beautiful day Liza. We eat dinner based on my husbands work schedule, so we can eat together and so that I don’t make dinner twice. By 4:30 pm. Little early but we adjust every time it fluctuates on time. Kids lunches – we go through rough spots with this, so I’m excited to read what others put. When she’s tired of sandwiches, we go to a cheese & crackers route. Then usually one of those tiny bags of chips, grapes, fruit snacks or rice crispy treat. It’s so hard when there’s only so much to choose from. I have a treadmill and from late fall to early spring, it’s used every single day. Once I get outside more, it gets way less use during the nice months. Last health related book I read was Erin Oprea’s 4×4 Diet. Great book. I just ordered Let Your Mind Run by Deena Kastor from our library, should be here in a few days. You are going to love Deena’s book… I’m kind of jealous that you are going to start it soon ha (that’s how much I love it). I’m so so glad that you have a treadmill to get you through these months! Cheese/crackers = perfect! I hope you are having a great day Michele! As soon as humanly possible! Unfortunately my husband doesn’t get hungry til after 7, but I usually don’t wait. I haven’t read a sports books in a while, but I’ve been watching LOSERS on Netflix and it is SO GOOD! Each one is a mini sports documentary about people that haven’t “won” what they are working after. The desert runner and Iditarad one are CRAZY. Just such a great way to look at different sports and reevaluate what being “the best” means and costs. THANK YOU! This sounds like a show I am going to absolutely love! I cannot wait to watch it on the treadmill tomorrow, thanks Megan! I would love to have eaten dinner by 6pm, but usually its around 7. I just finished Peter Sagal’s book “The Incomplete Book of Running” and it was actually pretty good. Just ordered Roar, can’t wait to read it. Side note I have started screenshotting and saving your salads to recreate later. I would have never thought to put pistacios on my salads yum. I hope you love Roar! Enjoy the salads.. I cannot get enough lately! I’ll have to check out that book, thanks so much Jacinta and have a great day! Crazy schedules in our house, so we have no regular time for dinner, but I think the earliest we ever manage is 6:00pm. No “littles” to pack a lunch for, but I try to bring my lunch to work daily. I rarely pack sandwiches, but will do meat (usually turkey) and cheese roll-ups with mustard or chicken salad with triscuits (Hint of Salt variety is great – only 3 ingredients), cut up veggies, berries or unsweetened applesauce and a serving of mixed almonds & walnuts. Soup and leftovers make frequent appearances as well! No space for a treadmill at home yet, but we’re working on it. In the meantime, I can use the fitness center at work for free :o) I’m not a fan of running on the ‘mill, but when it’s dark, freezing, and icy, it seems a safer route. I love winter, but am rooting for spring to show it’s face soon, here in the Northeast! Hey Nina! Your lunches sound very very good! That is awesome that you have a fitness center at work you can use. We are ready for you spring, please show up soon. Have a wonderful day. Lopez Lomong’s biography Running for My Life is really amazing and motivating. Also, watch Free Solo for some documentary inspiration. Free Solo is on National Geographic channel right now for us (for free!) but also think you may be able to download it through itunes? Oh, I so believe that part about believing things into reality! It hasn’t always work for conquering the goal (at least not necessarily the first time), but it FOR SURE defeats the goal if used in the negative way. Dinner is usually on the late side for us–about 6:30 or 7. We *aim* for dinner at 5:30pm…doesn’t always happen, especially since hubby and Kid1 don’t usually get home from work until 5:20pm and Kid2 (who I am transporting) doesn’t get home from practice until 5:15pm. But we try. – anything from Mel’s Kitchen Cafe lunch section…I agree with Liza above, Mel is amazing! I’ll jump on the thermos bandwagon! We have a small one that fits perfect into the lunch box. I always send leftover dinner! I also buy the small prepackaged cheddar cheese (Tillamonk) and we do lunchables…..ritz cracker and lunch meat. This is amazing… thank you for sharing with me and Brooke is going to love having leftovers at lunch! Love all of these ideas. Thank you and I can’t wait to try them. 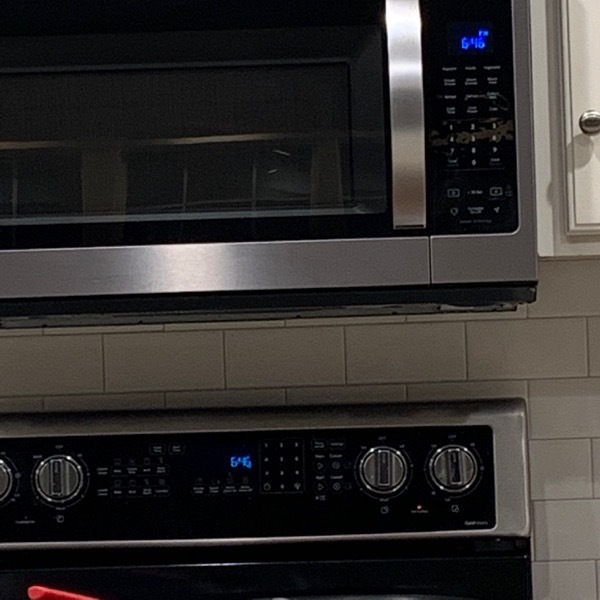 We usually eat dinner at 6:30 – I’m hungry by 4 or 5 pm but by the time everyone is home from work/school and we have our meal ready it’s usually 6:30. School lunches – usually sandwich plus a fruit (apples slices, grapes, clementine, or berries) plus a veggie (carrot or celery sticks, snap peas, cucumber slices) and milk. Sometimes in place of a sandwich I send a thermos of pasta plus a container of parmesan cheese. Heather, I am so so glad that it worked for you… it’s a miracle! I still use it every long run! Way to go on your long run:) . I’m totally going to copy your pasta idea! Have a beautiful day Heather! We moved to a small town with a small school district a year ago this week. Probably 250 HS students grades 9-12. Both of my kids have access to microwaves at the HS and MS. This has been a game changer in our lives. They absolutely love taking left overs for lunch and I love that they get a hot meal. Three nights a week my husband and kids eat supper very early, like 4:00. I am still at work at that time and after they eat my husband and I meet half way between our town and the city I work in so I can take my daughter to dance class. It works for us because my husband goes to bed a 7:00 pm and then my kids have a healthy snack at like 7 or 8 before bed. Microwaves would be perfect! So glad they have that now. You guys have figured out the perfect schedule! Hope you are having a beautiful day Betsy! We eat as soon as we can after I get home from work – 6:30pm – but on weekends we eat by 5:30pm. *same thing with quesadillas – make an extra one at dinner and then send the next day for lunch. He doesn’t even heat it up. Gina, can you come make lunches for me too! These all sound great. Thank you so much… I’m excited to try these. Have a beautiful day! That pad thai looks sooo good! Dinner is usually between 5-6; otherwise we all think we’re starving! I make a bunch of meat and cheese sandwiches on hawaiian bread on Sundays. I pack two to a baggie and then I freeze them, so the kids eat that most days. Otherwise, it’s leftovers. I am currently reading “Let Your Mind Run” by Deena Kastor and it is so good! It’s really cool that she grew up in SoCal and a lot of the races she did are races that my xc team is still running in. I have a treadmill at home but I haven’t been on it in a while. 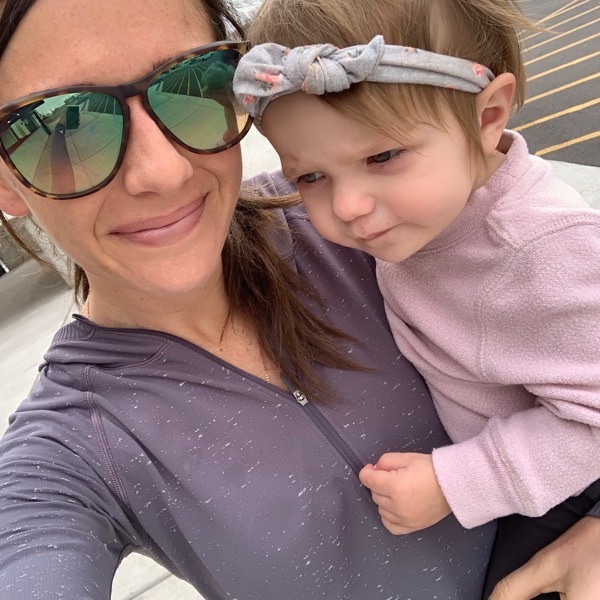 My kiddos are old enough to hang at home while I run outside, but when it gets up to 100 during the summer or when it rains, I will go to the treadmill. My husband recently hooked up my bike to a contraption that makes it a stationary bike and that thing is awesome, because biking in the cold is much different than running in the cold! We try to eat dinner around 5, but sometimes we eat later because of after school activities. You can IMAGINE muscles into being?? That is amazing! I don’t have kids, but for myself, I make a big batch of something Sunday afternoon and that is my lunch for the week. I love doing quinoa-based stuff because it’s easy and healthy, but I’ll also do pasta. Heat it in the morning, pop it in a thermos, and good to go! 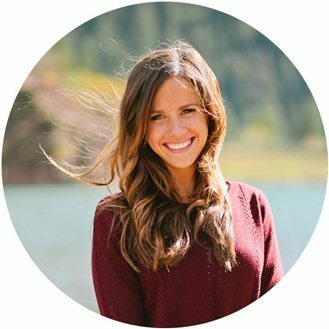 I also need to say THANKS for your post yesterday–I’ve been having such a tough training cycle with injury/pain that I can barely call it a training cycle, and I’m so frustrated! I really liked your “10 Bogus Thoughts” because it was all so helpful and true. You’re going to crush that 50-miler; I can’t wait to hear about it! Isn’t that amazing?! Our minds are so powerful. Oh I love that tip… I need to start doing that for her lunches. I’m so glad it helped, you are doing amazing and I hope that injury/pain gets better asap. Keep me updated Kristin! Have you watched “Made to be Broken” on Netflix yet? I think you’d enjoy that one a lot. My boys are older now and pack their own lunches, so it’s always a gamble what they theow in there. 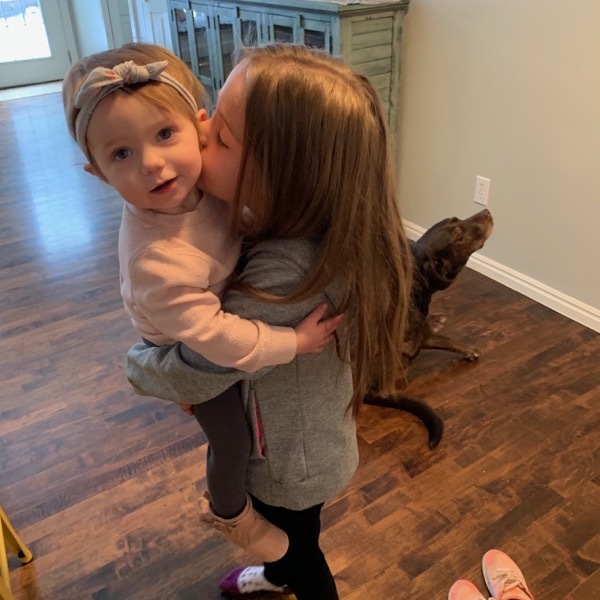 I try not to say anything but sometimes I’m like, “Dude, there needs to be some more color in that meal!” Or “No, I’m sorry, you cannot only pack saltines and a water bottle, this is not prison in the 1920s.” 😊 But, when they were Brooke’s age, my kids really loved anything in a tortilla: bean & cheese burrito, lunch meat & cheese roll up, flavored cream cheese with either fruit or veggies (depending on if the cream cheese was sweet or savory), cheese quesadilla…possibilities are pretty wide open. Different fruit or veggie options with dips were (and actually still are) big hits too. And even now, if I have applesauce squeeze pouches or granola bars (I try to get the sunbelt brand just because they don’t have preservatives but also don’t cost a mortgage payment, which is a big deal with teenage boys), those fly off the shelf pretty fast. I also like to set aside some cookies or brownies whenever I bake them and put them in the freezer, already portioned out in little ziplock baggies. Great to grab and toss in as a dessert and they’re thawed by lunch time. I guess we’re the odd balls, we don’t eat until 8pm most nights (no kiddos). I’d love to eat earlier, but we usually either go to the gym or ride bikes or lately shovel snow (I’m tired of that work out, spring please come!!) after work, so we basically eat and then go to bed since we have the bed time of a 10 year old. We have big lunches and keep dinner light since we eat so late. I just started reading Tyler Hamilton’s book The Secret Race about the cycling world and so far it’s really interesting. As a fellow Trader Joe’s lover, the best thing to ever happen to me is a Facebook group called “Trader Joe’s meal ideas for busy moms”. I’m telling you, these women are geniuses. Wallet beware. THIS. IS. AMAZING. I joined and I cannot wait to copy them all. THANK YOU! That ultra documentary is AMAZING!!! I am having a tough time with the running lately (my right hip and glute has sort of seized up, and I think I have a pinched sciatic nerve on the right side, and all of this together makes me think there are piriformis issues to contend with and it makes running tough right now…), but that documentary makes me want to find SOME sort of job that has one big virtue–a BIG salary–so I can afford a coach, a massage therapist, a physical therapist, and then spend all weekend every weekend training for ultras. I only half-way joke. On an unrelated note, I have started this thing where on Monday evenings, after I get home from teaching spin/all day at work/grocery shopping for the week and BEFORE I get to meal prep, I have felt the need for “something more” for exercise. And I haven’t wanted to leave my house, and I have NOT wanted anything that seems very intense or “overly Type A” if that makes sense. So a couple of weeks ago I lit one of my favorite candles, opened up my laptop, and youtube searched for a yoga class. Found a 30-ish minute yoga routine from Yoga with Adriene. Yesterday I *really* wanted barre, for some reason. Instead of beating up on myself for not being able to afford one of the two barre studios by my house (an independent studio called Pink Barre and a location of barre3 that’s about 15 min from my house), I just youtubed “barre workouts” and found a 30 minute barre3 routine that some studio owner somewhere in Massachusetts had done on her local TV station’s daily talk/lifestyle show broadcast. So I got my barre in. And I felt THAT MUCH MORE peaceful for the rest of the evening. And I slept better last night than I had slept in exactly one week. So I WIN. And I didn’t spend money. And I have the beginnings of a Monday evening ritual. I’ll take it. I can’t believe how SOON the ultra is. I’m really excited for you–REALLY excited. You’ve worked so so so hard. It’s pretty freaking amazing!! School lunches are tough! I try to change up sandwiches by using mini bagels or tortillas instead of bread. Also, “breakfast for lunch”, yogurt, muffin & fruit salad. Mini bagels and tortillas and brunch… I love these ideas. THANK YOU MICHELLE! We eat soooo late compared to you. Like, 8ish? My daughter hates (truly despises) most sandwiches so lunch packing has been a challenge. Lately we invested in a couple of good quality thermos type things so I can send her with hot food. She likes leftovers of things like pasta, chicken and rice, and tacos. (Heat up the taco meat and put it in the thermos then put all the sides etc in the rest of the lunchbox.). She also likes soup a lot which makes life easy. My kids are asking for dinner at 4:30 it seems but my husband is home around 5:30 so that’s usually when we eat. I can’t make it past 6:00 so good job doing that! My son is super picky so I don’t have good lunch ideas as he doesn’t eat a good variety but If you get new ideas, will you share in here? Also, what kind of dr is dr Bennett? I don’t leave in your area but he sounds amazing always fixing you! Just wondered what kind of dr he was that can help you so well. Hi Janae! I have a question for you about your “stuck” ankle. I have been experiencing something with my right ankle where it just feels wrong and “stuck” struck a chord with me! What did your Dr do? Is he a Chiropractor? I’m nervous running on this ankle because it just isn’t right. We pack a lunch for my 7-year-old almost every day, she gets to pick 1 hot lunch a week at school. I am always secretly proud when she tells me our lunches are better! Standard lunch is a sun butter and jelly sandwich (no nuts in school) with carrots, fruit, beef stick or salami, and a small treat. 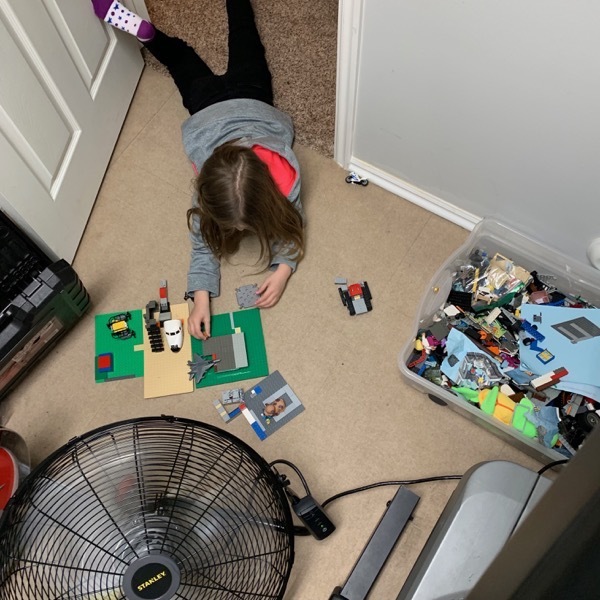 We use the planet box rover and it is the best lunch box ever – I can see her using this for the rest of her school career. Other days we send leftover homemade pizza, spaghetti, or a taco bowl (all eaten cold as she prefers). Mini-muffins are also a big hit. 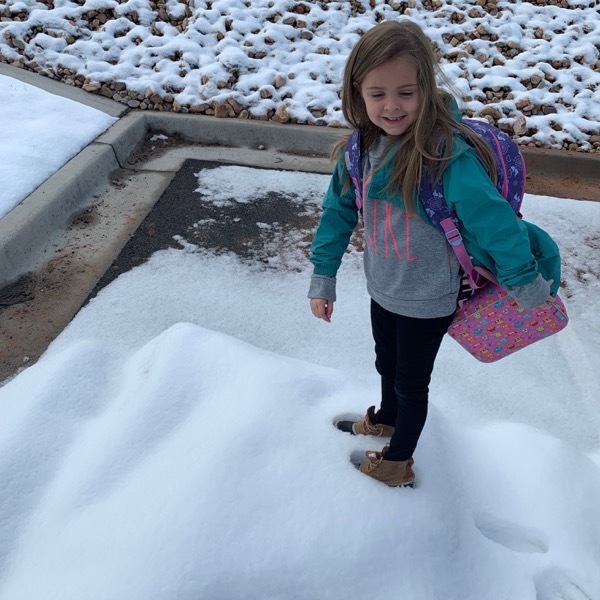 She is responsible for putting the ice packs away and getting the tray ready to be washed each day after school. Hey Michelle! So Dr B is a chiropractor and he unjammed it (which involved a pull and twist like thing). I’m so sorry you are struggling with this… I would definitely have it looked at! You are rocking those lunches … I’m going to copy you. Have a beautiful day and let me know if you have any other questions! Dinner is when I get home plus 1 to 2 hrs – no it just seems that way. You can pack soup in a thermos and usually by lunch time it’s cool enough to eat without being too hot for the kids. This is the last running book I read. It was pretty good. The writer is a CNN reporter who decided to run a marathon with his daughter and then ended up doing an ultra too. Probably good for you as you get ready. By happenstance, I also got to meet them at 2017 Big Sur as we all (him, his daughter and I) ran the full there. My treadmill sits mostly unused. After buying it is when my wife decided she didn’t like, or couldn’t, run on the treadmill. I don’t like it either but sometimes I have to. Michigan winters are nasty. Packing lunch for my son is such a pain – he is so picky. He won’t eat sandwiches, cold lunch meat, peanut butter, string cheese or any ‘typical’ cold lunch food. He basically has crackers and applesauce. I pack other stuff but he never eats it. Of course he’s staaaaaarving when he gets home which is one reason we eat supper by 5:30. An early supper and later snack seems to work for us though sometimes I feel like as soon as I get home I’m just stuck in the kitchen – but it’s a good time too for them to sit at the counter while I’m busy prepping stuff. We are late dinner eaters-I’m a single mama and by the time we’re done with work/school/practice/appts/cooking it’s like 6-7pm! The other day we had no practices, I took a rest day, and we had no appointments so we were debating whether 5pm felt too early for dinner! I love to make tortilla roll ups for lunches-cream cheese, “sprinkle cheese,” deli meat if wanted. Roll them up, slice, and partition out to the lunch boxes. Also great to use leftover chicken mixed with grapes and slivered almonds then cream cheese (that’s what helps keep them pinwheeled and sealed!) We also make homemade trail mix with whatever is around: nuts, seeds, cereal, mini choco chips, dried mango squares, etc. And when in doubt, make a random homemade lunchable with chopped cheese cubes, meat or meat alternative, crackers, cucumber slices. My theory, after working in a school for 11 years is that it’s just lunch and kids talk and tend to not eat massive lunches anyway. I see many clever ideas like waffles, homemade french toast sticks, thermos’s of pasta, rice and veggies, etc. Sometimes I’m jealous when a student brings homemade sushi or a giant salad. Love ROAR. So informative and helpful. I’m so proud of your training and goals! I have a treadmill in the garage for 2 years that I’ve never used. I should get it prepped because in the crazy winter weather that happens sporadically it would be a nice alternative. I’m not great at lunches. But the Thermos saves me! I can then heat up leftover lasagna, mac & cheese or soup we’ve had for a previous dinner. 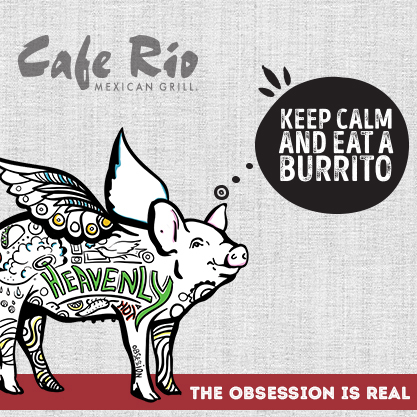 We also like anything in a tortilla style. PBJ, peanut butter and banana, chicken with cream cheese and any veggies or beans, ham & cheese. My son eats early too…10:20am. So I’ve sent things like grilled cheese or nuggets wrapped in foil. I am sure it is just room temp by the time he eats them but I figure he never eats food hot anyway! ;) I’ve also asked my son sometimes what he likes and have come up with a few “new” things. Like “snacky” lunch…popcorn, cheese sticks, fruit, yogurt cup/stick, carrots/hummus or guac. I feel like he eats that the absolute best. We have a Yumbox which I highly recommend for this type of lunch. So I guess we can’t live without our Thermos or Yumbox for lunches! Good luck! I ADORE this challenge you are up to now….but I have ZERO interest in ever covering that distance! By accident I’ve recently finish Rich Roll’s book and and now reading Tom Foreman’s My Year of Running Dangerously. So apparently I REALLY like reading about others covering the ultra distances! LOL! I highly recommend both books if you haven’t read them already! My kids lunches usually involve some combination of chicken nuggets in a thermos, fruit, crackers, string cheese, Naked smoothies,yogurt, kind bars, sometimes kefir. And sometimes they pack a dessert. Others I have seen pack soup, noodles, or dinner leftovers in a thermos, hummus and veggies, or tuna and crackers. Good luck! We try to wait until 6 when my husband gets home. Unless he’s traveling, then it’s whenever. I am just getting caught up and I can’t believe that anyone questioned you not going with Andrew. No one should have an opinion on your marriage or choices! We don’t have insight to everything that goes on and what is best for you guys. It makes sense that he could focus on his family and school work. You guys are making things work for you, don’t let people make you feel like you have to defend yourself. You do you mama, real friends will have your back! “How to Run 10o Miles” is one of my favorite ultrarunning documentaries if you haven’t see it yet. It’s on Youtube, and shows two friends training for and attempting their first 100 miler (Run Rabbit Run). So…on the topic of kids lunches – always an interesting one! My Costco recently started carrying the small hummus and pretzel containers so if we are not doing sandwiches I will do hummus and pretzels, sometimes with leftover pizza, a Gogurt or yogurt, some kind of fruit and maybe chips (one loves Chex mix and one loves the Pb bombas at Trader Joe’s and both love pirate’s booty) and cookies (or not if the yogurt was a dessert type). My younger son loves bagels and cream cheese too. Both boys never eat the same thing of course but one likes pb&j on challah bread and one likes Pb&honey on challah if you are looking for different sandwiches. I also make healthy treats like low sugar peanut butter chocolate chip chia bars and put a vanilla probiotic yogurt in with it for a pre lunch snack or dessert. I have a gym at home that I love but usually just do weights in it before my boys wake up for school and then go to the gym in my neighborhood for cardio. Funny enough my son was home sick yesterday and so I had to get on our treadmill. It’s amazing how much I feel the difference between my treadmill at home and the one at our gym. It’s like a dinghy vs. a luxury cruise lol! Have a great day! Between working and running, my husband and I eat a ridiculously late dinner. Hoping to someday conquer prepping meals on the weekends. My dogs sit and stare at me whenever I run on the treadmill, silently judging. We usually eat dinner around 6:30-7. I always end up eating a late lunch so I’m never hungry earlier in the evening. My kids are picky and I work night shift so our lunch box rotation is nothing spectacular (because when I pack them in the morning there is no brain power left). Mine take rolled up deli meat with Hawaiian rolls on the side, string cheese and crackers, yogurt with mini muffins, buttered egg noodles in a thermos, kraft Mac&cheese in a thermos, and they love the pizza lunchables. They also take a serving of fruit every day. Usually grapes, blueberries, or mandarin oranges. No treadmill running here. I despise the treadmill. I live in FL so we can run outside year round and I need the outdoor visuals to make it through. I do have a spin bike I use as a bad weather backup though. Somehow I find it way less boring than a treadmill! I am putting ROAR on my to read list. I want a treadmill so bad, but this is the first time in over 10 years I have a gym membership so I can get my runs in no matter what. Its super close and open 24/7!! Your article is helping people who want lose weight. its a inspiring and informative for people. My daughter loves to take soup in a thermos for lunch and a hardboiled egg and an orange. She doesn’t love sandwiches so I have to get creative with her. She also really likes when I pack her carrots with some ranch and yogurt and string cheese. I have been LIVING on my treadmill lately, I am actually about to hit the button on the same treadmill you guys have (thanks for that recommendation). You and Andrew help motivate me to keep going when I am stuck inside. I will be coming to Utah for my first full in June and I am trying to train as much as I can now! !